There are many companies that offer a wide array of web hosting products and services. Add-ons are also common and are great ways to expand the reach of a web host. However, there are instances when the quality gets compromised as the company is no longer focused on its core products. If you want a no-fuss, hassle-free web hosting experience that values quality of services, then you might want to consider eBoundHost. It’s known among those who are looking to build a professional website on a budget. But is eBoundHost just as good as other popular web hosts like BlueHost and iPage, or are you better off sticking with the top names in the industry? 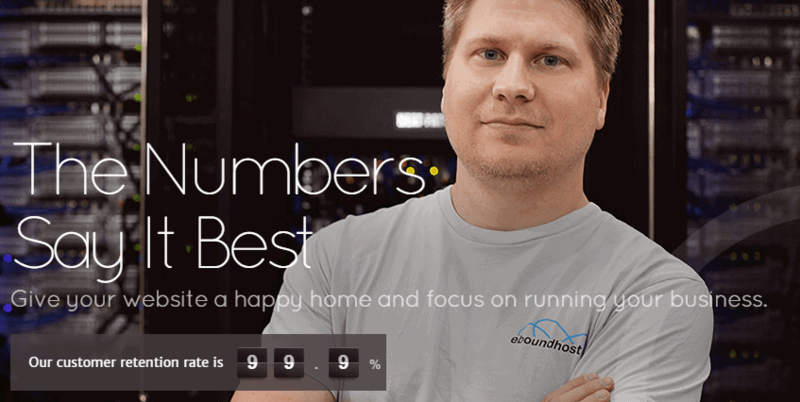 In this in-depth eBoundHost web hosting review, we’re going to talk about their hosting plans, features pricing, reliability and performance, customer support, as well as its pros and cons. So if this web host is under your radar but you’re still unsure about its reputation in the market, then you’ve come to the perfect place. eBoundHost is a web hosting company that’s based in Chicago, Illinois. It was founded in 2000 and has never looked back since. 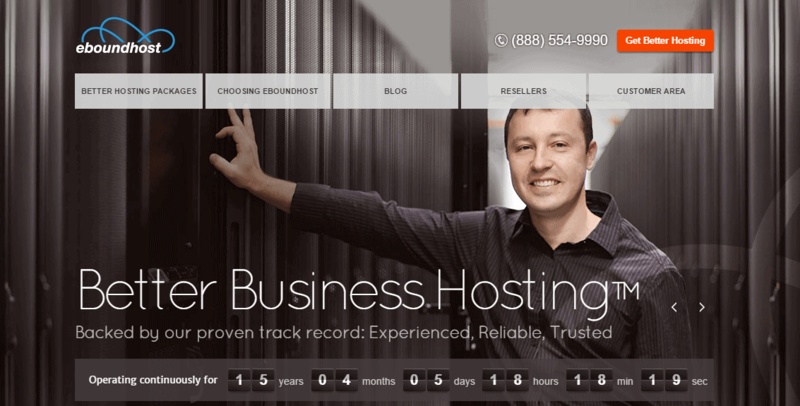 This web host offers simple yet powerful hosting solutions for individuals and small business owners, as well as well-established companies. Their dedication to offering quality web hosting services has earned them a loyal following and a good reputation. eBoundHost does its business the old-fashioned way by focusing on the clients and providing on three core services: web hosting, virtual private servers (VPS), and dedicated servers. They also offer other web solutions like domain registration and renewal, and SSL certificates. eBoundHost is known for providing cheap and reliable hosting to people of all levels. 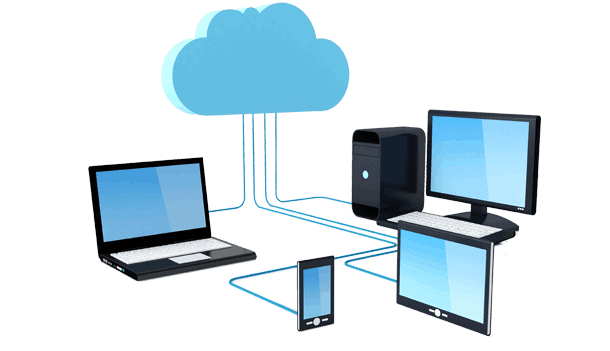 At the time of writing, they offer shared hosting, VPS, and dedicated hosting packages. They don’t bombard clients with a lot of choices on each of these levels, which is actually nice because it’s much easier to choose what you really want. 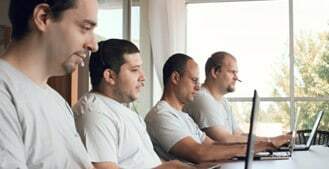 Their plans start from just $1 per month and could include unlimited domain support, unlimited bandwidth and disk space, spam protection, SSH access, and more. Their plans are even compatible with both the Windows and Mac platforms – something not all web hosts can readily offer. eBoundHost break up their services to meet the specific requirements of individuals and businesses. This is especially true for their shared hosting options. 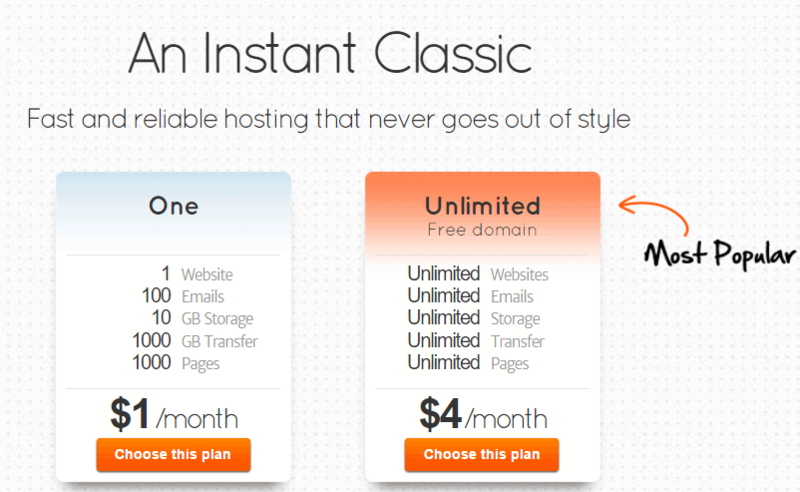 Called Better Classic Hosting, you can choose between two different packages: One ($1/month) and Unlimited ($4/month). One is ideal for those who are new to website creation and are just looking to build a simple yet functional website. It gets the job done but as with any basic hosting package, it’s limited. With this shared hosting plan, you’ll get 1 website, 1000 web pages, 100 email accounts, 10 GB worth of disk space, and 1000 GB worth of bandwidth. It’s a pretty good offer with plenty of resources to get you started. And at a low price of just $1 a month, you really have nothing to lose. Besides, you probably won’t surpass these data limits, so the restraints seem unnecessary. If you wish to build more websites and want more features and resources, it’s best to go for the more popular Unlimited plan, which costs only $4 a month. This plan already comes with a FREE domain plus unlimited features including websites, web pages, email accounts, disk space, and bandwidth. Affordable prices. 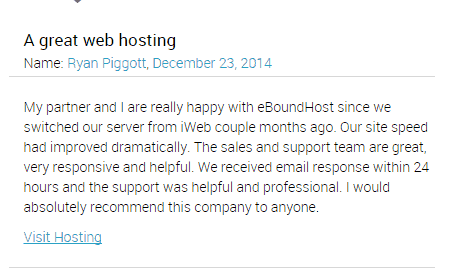 With eBoundHost, you’ll get top-notch web hosting services at a fraction of the cost. You can build a site for the price of a cup of coffee! Impressive speed. If you’re wondering why eBoundHost limits the number of pages that they host, that’s because they want to ensure that each of their quad-core Intel® Xeon® processors can deliver snappy response times. All of their servers are located in a data center in Chicago, ensuring that all hosted sites load quickly wherever you are. Fast and easy migration. If you have an existing website, eBoundHost’s expert migration team will help you transfer to their servers with minimal downtime. You can also do it yourself simply by backing up your website and database. You can then upload the backups to eBoundHost’s server. Upon completing the process, you can get your site up and running quickly, usually in 30 minutes or less. Security updates held every night. eBoundHost have a team of professional technicians who perform nightly security updates to the core software packs that power your site. This ensures that your site becomes more stable and less likely to be attacked by hackers and malware, so you’ll have complete peace of mind. Indeed, eBoundHost is an affordable choice for small business web hosting but while they provide the basic features I looked for, it’s missing a few key features. Also, it falls behind some of the best web hosts in terms of security functions. They do include free domain transfer, which means that if you already have an existing domain and want to move it over to eBoundHost, they will help you do so. If you need an added level of security for your sites, however, eBoundHost may not be a good choice for you. Why? Because they don’t offer SSD or site backup and restoration. You can add SSL certificates for an extra fee, which will encrypt data as it travels across the Web. You can also opt to add SSH to your hosting package, which will help you connect your computer to another without compromising your data. eBoundHost’s shared hosting plans may not be as feature-rich as the competition (i.e. 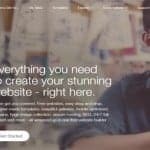 iPage and BlueHost), but the price is right and you’ll get the tools and services you need to start building a simple yet fully functional website. eBoundHost recently started offering VPS hosting to their clients. 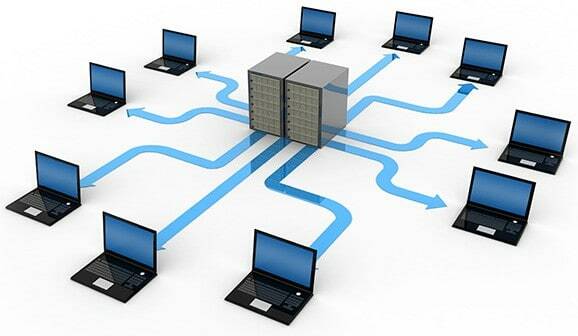 VPS hosting promotes scalable and multi-user sharing solutions to those who are in need of manageable hosting services. This type of web hosting has the capabilities of a dedicated server, but is more cost-effective so it fits the needs of clients who are on a budget. That’s FREE server management and monitoring at its best! If you need more power, eBoundHost will be there to help you scale. Using their online dashboard, you can easily and quickly add resources like more CPU cores, extra disk space and bandwidth, and more RAM. The sky’s the limit! As you can see, eBoundHost gives you plenty of options to choose from, depending on your budget. In fact, their VPS offerings are on-par with that of iPage’s VPS hosting packages. eBoundHost even offers more RAM, disk space, and bandwidth at very affordable prices. Still, if you need more advanced tools and features, you might want to look elsewhere because eBoundHost doesn’t offer a lot of options to further expand your site’s functionality. But if you want simplicity and affordability, you really can’t go wrong with this web host. Besides offering shared and VPS hosting packages, eBoundHost is also capable of providing dedicated server hosting solutions that are surprisingly affordable. Their dedicated hosting plans come packed with a full line of services and tools that allow for full-server access for the highest level of customization. With their Fully Managed Magento Dedicated Servers, you can focus on growing your business while eBoundHost will deal with the technology. With their scheduled upgrade cycle, rest assured that your hosting platform is always running the latest security patches. eBoundHost’s dedicated servers are built exclusively for Magento, with Magento specific optimizations that ensure top performance for your online store. They also provide fast SSD storage where all servers are running at full speed. Started at $99 per month, you can choose from 4 different packages, namely Community Cloud, Community 16 Dedicated, Community 32 Dedicated, and Community 64 Dedicated. The plans are based on the level of core processors used, including Quad and Hexa cores. Half of the plans are based on “self-managed hosting”, which means you’ll take care of routine administrative tasks and have total control over your server. The other half will be under the management of eBoundHost. Every self-managed dedicated hosting plan comes with 3 IP addresses, unlimited data usage, as well as customizable security options. On the other hand, the fully managed plans come with 5 IP addresses and up to 10 TB worth of bandwidth. Apart from these self-managed and fully managed dedicated hosting plans, eBoundHost also offers enterprise-level dedicated hosting plans called Managed Enterprise Magento Clusters which are ideal for clients who are in need of stronger and faster hosting features for their websites. Starting at $1,100 a month, you can choose from 3 packages: Enterprise Cluster 1100, Enterprise Cluster 2200, and Enterprise Cluster 3300. With these plans, not only will you enjoy fast and reliable speeds, you’ll also get the highest level of security and flexibility for your websites. eBoundHost’s enterprise level dedicated hosting packages may be feature-rich, but they’re a tad bit expensive. You can probably get away with any of their Managed Magento CE Servers if you’re only looking to build a smaller website but if you’re running a big business, you should probably consider upgrading your plan to any of their enterprise level dedicated hosting plans, or go for a much more affordable plan from other top web hosts like eHost, BlueHost, and iPage. Unfortunately, eBoundHost don’t offer managed WordPress hosting for those who wish to build or transfer a WordPress-based site on their platform. However, this doesn’t mean you can’t build one using the most popular and most powerful content management system (CMS) and blogging platform in the market. One notable features is that you can quickly download and install the WordPress application on your eBoundHost hosting account, thus allowing you to host WordPress sites. By offering managed Magento dedicated servers, it goes without saying that eBoundHost is focused on providing cheap and reliable hosting solutions to business owners who are looking to expand their reach to the World Wide Web. Besides these, eBoundHost also offers advanced user features like easy-to-customize 404 pages. However, it’s worth noting that this web host does not offer advertising credits with their packages, which is supposed to be a standard feature that’s usually included in hosting plans offered by other web hosts. 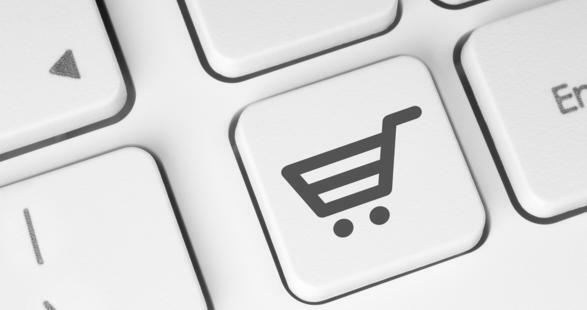 What’s more, some eCommerce solutions require an extra fee. So if you need more tools and services for your online shop, I suggest you look elsewhere and find another web host that would meet your eCommerce needs. As a web developer and website owner myself, I know how important it is for you have a user-friendly control panel for managing your hosting account and website. The great thing is that eBoundHost is one of those web hosts that offer the best and most easy-to-use control panel in the industry – cPanel. Their VPS and dedicated server hosting packages come bundled with free cPanel, which is no doubt the leading web hosting management platform. This means that you’ll have access to all the tools you need to successfully launch a web hosting environment for your website. With cPanel, configuring multiple sites, MySQL databases, and email addresses is a breeze. Besides cPanel, you can also choose to use Plesk, which is also a popular control panel. 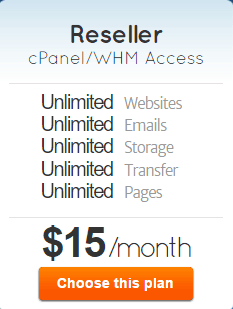 Both cPanel and Plesk are extremely user-friendly and give you complete control over your website. Both programs come packed with application installers that let you add numerous add-on scripts and applications, like the ones I’ve mentioned above. If you’re new to website creation, you won’t have a difficult time learning the ropes when using either of these control panels. eBoundHost offers 100% uptime guarantee, but we all know that we’re yet to encounter a web host that does live up to this claim. The fact, however, is that this web hosting company does a good job at keeping client websites up and running at all times. The company claims that their server hardware has been customized from the ground up for maximum reliability. They’re trying to make downtime a thing of the past! If you visit their website, you’ll see a handy server statistics page which reports that since they started their business in 2000, the average total downtime per month is just 15 minutes, which is quite impressive. eBoundHost is able to keep websites up and stable given by the fact that they’re located in a high-end data center. And from what I can tell, they don’t oversell their servers either. Despite this, there’s no mention on their Terms of Service whether clients can request for a partial refund should there be downtimes exceeding 15 minutes. 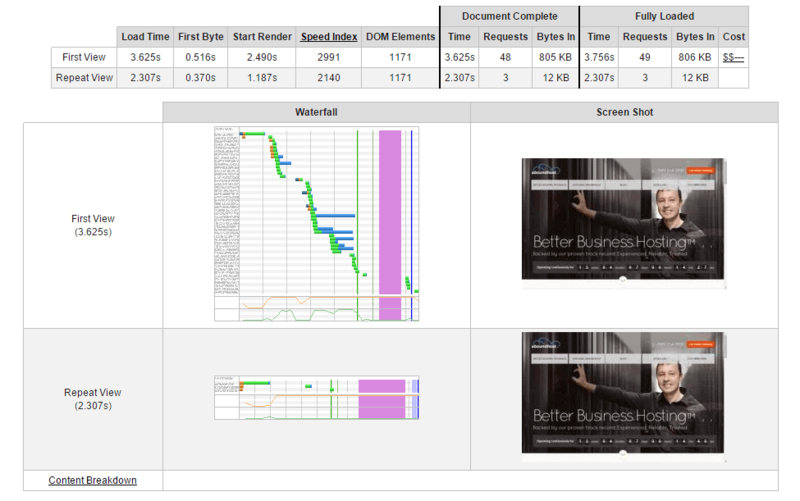 I went ahead and tested eBoundHost’s response times and overall performance using WebPageTest.org. 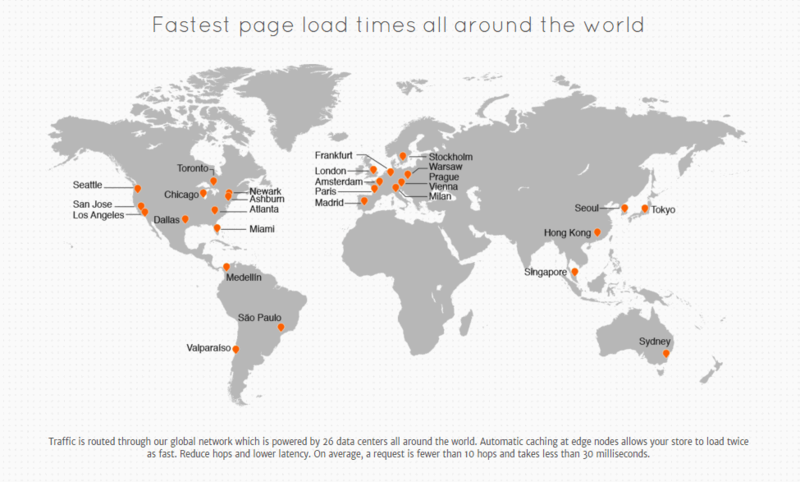 They have an average response time of 3.625s, which is a bit longer compared to other web hosts. Nevertheless, it’s impressive in itself. To ensure reliability, eBoundHost operates from a cutting-edge data facility that’s equipped with Dual Core Xeon servers. They have a team of in-house technicians that conduct daily backups on website data, while UPS systems and backup diesel generators are placed to ensure optimum performance even when a power outage occurs. Additionally, eBoundHost keeps intruders at bay with round-the-clock physical security and 24/7 network monitoring to detect any suspicious activity. You might have a difficult time looking for a money-back guarantee in their website, but after rigorous research, it seems that they are offering a lengthy and more generous 90-day money-back guarantee. This is impressive, given that most web hosts only offer a 30-day trial. It would be better, though, if eBoundHost mentions it on their Terms of Service. Some clients might be put off if they don’t clearly define their money-back guarantee. After all, it’s an important factor to consider when looking for a reliable web host. Who knows, you might not be satisfied with the services that they offer and without a clearly stated refund policy, you might not be able to get your money back during the trial period! Customer support is a critical aspect for any business. eBoundHost knows this well, which is why they offer various ways for their clients to reach the professionals managing their data. You can reach them via phone, email, and support ticket. The best way to reach them is through phone. They have a so-called “10-Second Phone Promise” where all calls are answered by a real person in less than 10 seconds. I tested this out myself and they do live up to this promise. I quickly got in touch with a qualified technical who was ready to answer my questions and solve my problem on the spot. No automate prompts whatsoever. Besides phone support, you can also find help via free priority support and email ticketing. The company claims that their 24/7 support are all based in Chicago, IL; and they guarantee that all tickets submitted are responded to in less than 30 minutes from the time it’s received. Missing from the help and support section are video tutorials and user forms, which would have been useful tools if you run into issues while using their web hosting service. eBoundHost also lacks a live chat system which limits the ways you can receive help in case of an emergency. Overall, eBoundHost is a fairly competitive web hosting provider that’s worth considering if you’re looking to build a simple website. They offer a wide array of useful tools and features at very affordable prices. There aren’t a lot of problems associated with this web host and there weren’t a lot of legitimate complaints from clients, which is a good sign. Their rates are also some of the most competitive in the market, some of which are quite appealing for those who are just starting. Their VPS hosting plans are reasonably priced, as well. As for their dedicated server plans, you might want to look somewhere else because I’m pretty sure you’ll get a better deal at a much lower price. eBoundHost has been in the web hosting industry for over a decade, so they maintain a good reputation among other web hosts. They have proven themselves worthy as a result of the many years of experience in the business. Despite the lack of features in some of their hosting plans, eBoundHost makes it easy for everyone to build a professional website in just a matter of minutes. They even have a wide range of enterprise-level hosting plans that will fit the needs of large-scale businesses and companies. eBoundHost may not be everyone’s top choice for budget web hosting but if you’re looking for a cheap and reliable web host that cuts away all unnecessary features, then this is the one for you. I’ve been hosting my websites with various hosting providers since 2003 when I developed and launched my very first website. For the first years I’ve been moving from one hosting company to another — for obvious reasons — until I got to eBouhdHost some years ago (2009 I believe). That’s when my search for the right hosting company stopped and I’ve been hosting my websites with them ever since, using VPS and dedicated servers. In May 2016 one of my websites (LottoMatic.info) kind of went viral all of a sudden and is getting at the time of this writing even over 1000 visitors at the same time according to Google Analytics. The dedicated server and the infrastructure provided by eBoundHost handles this kind of traffic without a problem and I have all the reasons to expect this to stay as it is for the future when traffic will most likely increase based on the last month trends. eBoundHost support is fast and professional and if there is a problem they look deep into it, report back asap and fix it fast. I don’t know how other web hosting companies do at this point in time as I didn’t host with anyone else for years but I know this much: eBoundHost is reliable and affordable web hosting company. If you’re looking to host a website with 10K+ unique visitors a day, I know for sure eBoundHost is one of the best options out there.